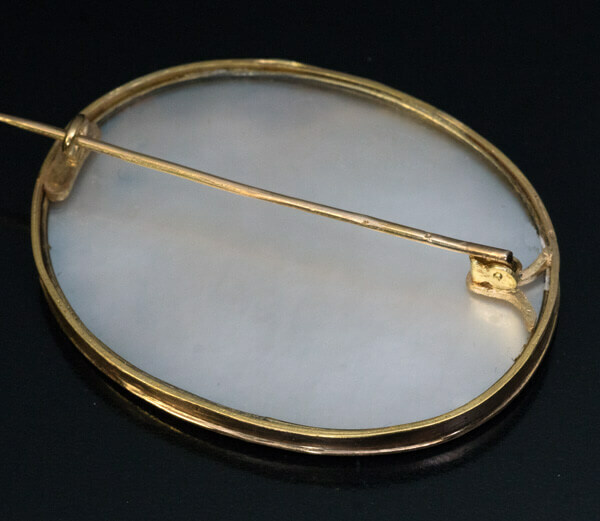 This late 18th – early 19th century brooch is likely of a French origin. 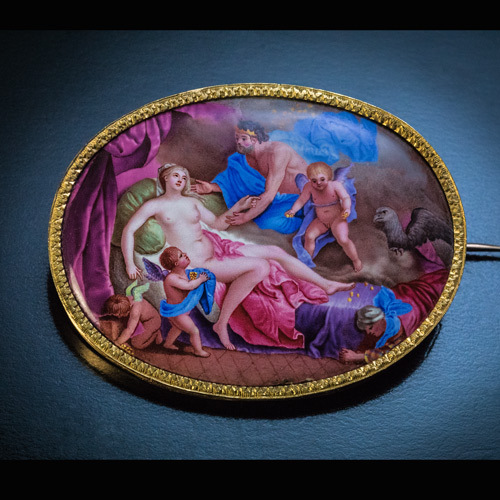 The brooch features a superb quality painted enamel miniature depicting Mars embracing the goddess of love, Venus, as she is encircled by cupids. The eagle, often considered the messenger of gods, watches over them. 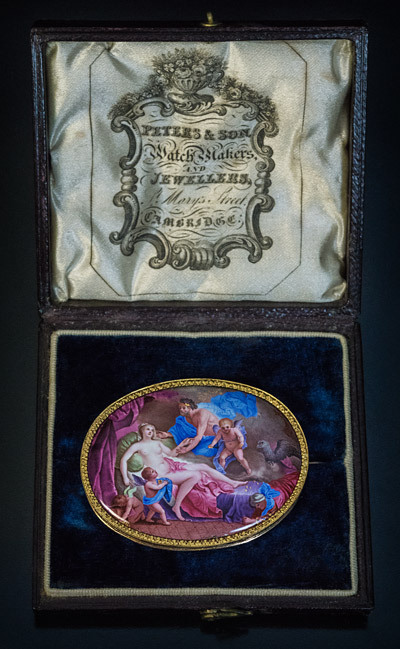 The enamel miniature is set in an 18K gold frame with engraved border. 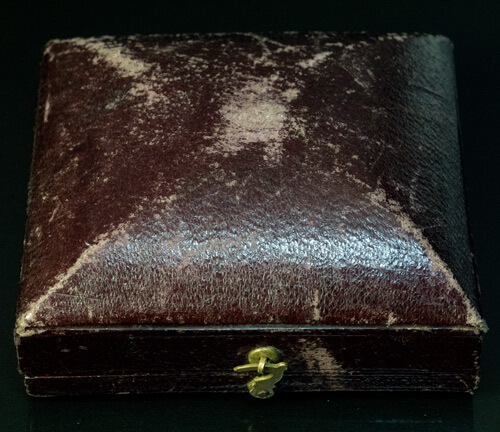 The back is covered with a mother of pearl plaque. 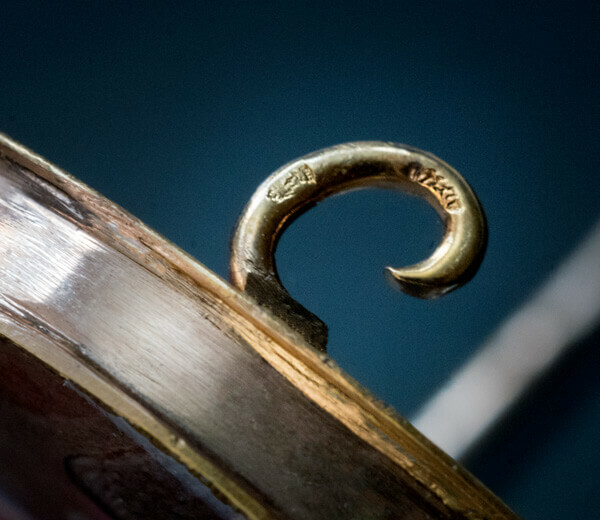 Both, the pin and the pin guard, are marked with indistinct marks. 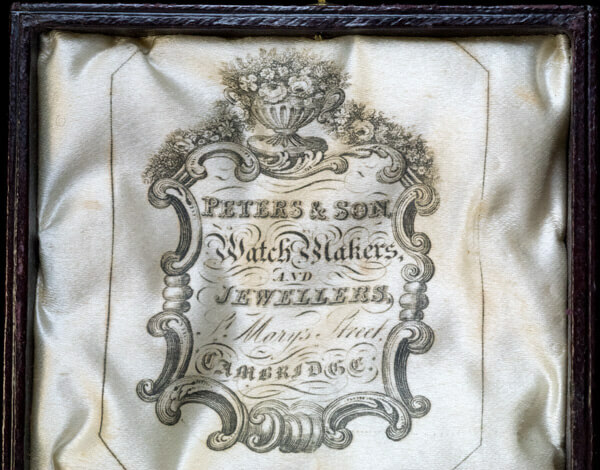 The brooch comes in a burgundy leather fitted case of English jewelry shop Peters & Son in Cambridge. The condition of enamel is impeccable.